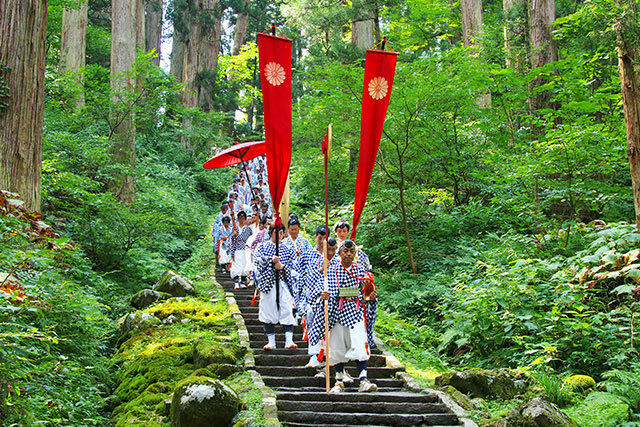 Visitors can get a feel for the future by experiencing high technology in Tokyo, and vicariously experience history and culture through the “Samurai City” of Aizu. ANA flies to over 40 destinations making it very convenient to fly with the airline. The staff on ANA was effecient and very friendly. The seats were very comfortable and can be pushed back for a more relaxing flight. 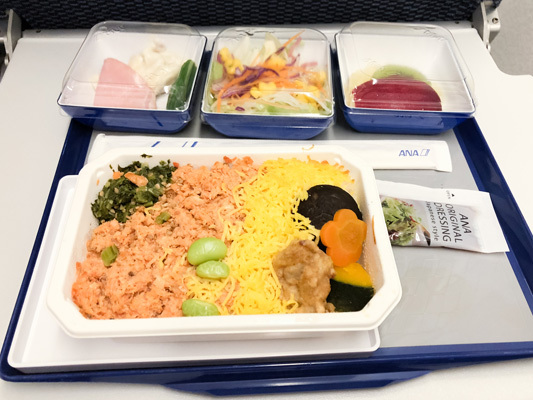 The food options were very good and some of the best food compared to other airlines. They even have a great selection of newly released movies I enjoyed watching during my flight. 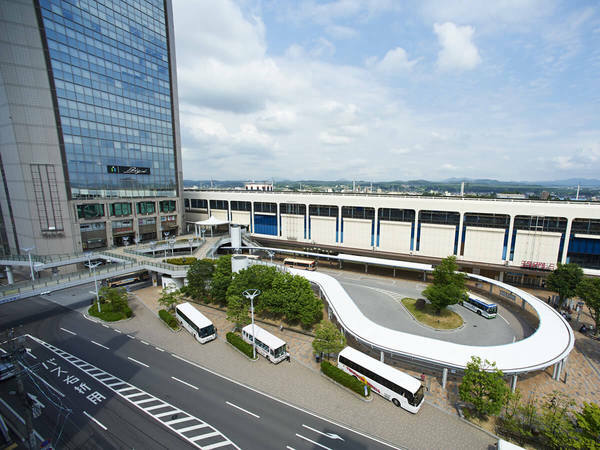 The airport serves as an air gateway for Tokyo. 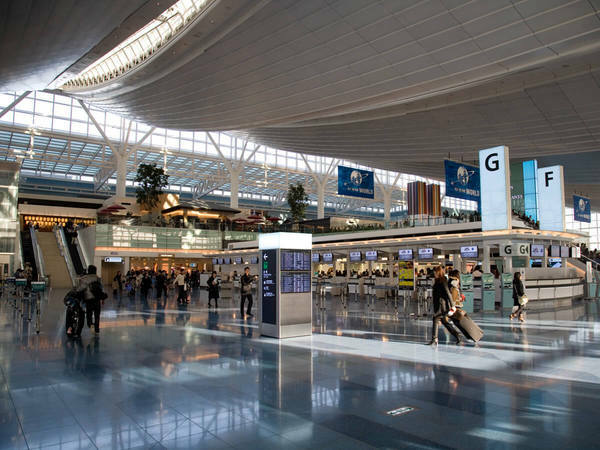 The passenger terminal is filled with various commercial facilities, and visitors can command a panoramic view of Tokyo Bay from the rooftop observation deck, so that every one, even those who are not flying, can enjoy the terminal. 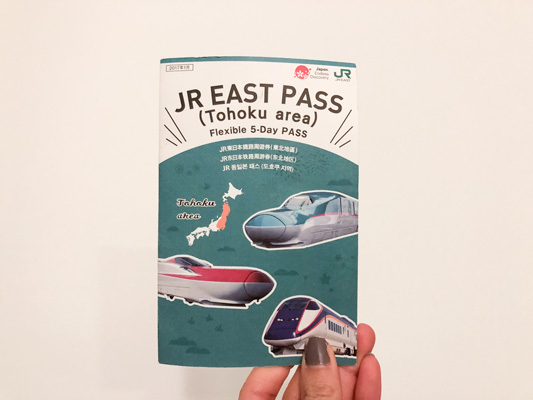 The JR East pass(Tohoku area) is highly recommended for tourists when visiting the Tōhoku region. 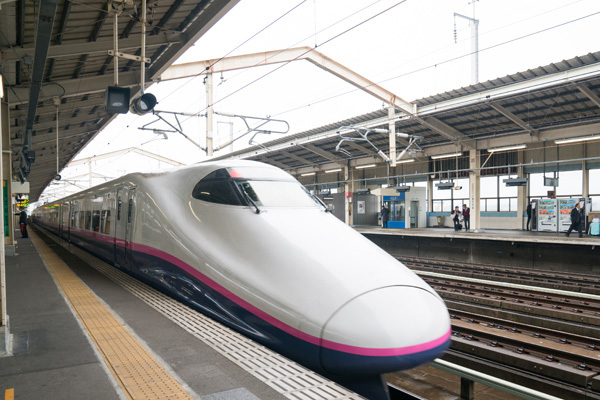 The price is affordable and allows easy transportatoin and can be picked up at Narita, Haneda airport, convenient train stations or purchased online. This art space, where three modern art galleries come together, was born on 21 October 2016. The globally recognized Tomio Koyama Gallery, ShugoArts, and Taka Ishii Gallery all opened at once. The works contained here, possessing the beauty, delicacy and power that embody Japanese art, are displayed in the galleries, each with its own distinct character, and all are a must-see. There are several art galleries in this area, including the Mori Art Museum and the National Art Center, Tokyo. We recommend that you enjoy going around all the galleries here. The Mori Art Museum is a contemporary art museum in the Roppongi Hills Mori Tower in the Roppongi Hills. They have many great exhibitions throughout the year. 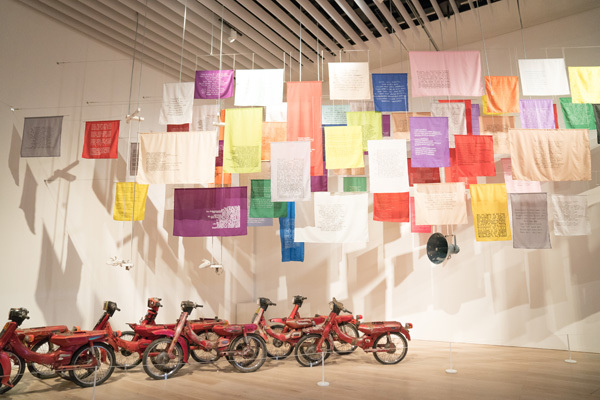 One of the exhibits, Recycle and Rebuild focuses on the relationship between cities and recycling. It's really unique and interesting learning about the different types of artists and how they portray art from past experiences/history. 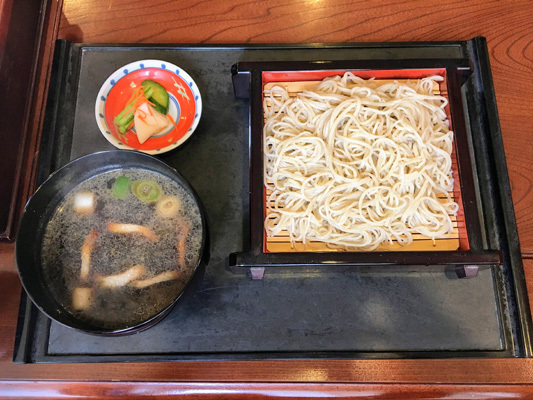 Azabu Kyutoku has some of the best udon in Tokyo! I highly recommend coming here for a meal after or before the Mori Museum. The noodles we had were really tasty and the lunch set was a great deal. 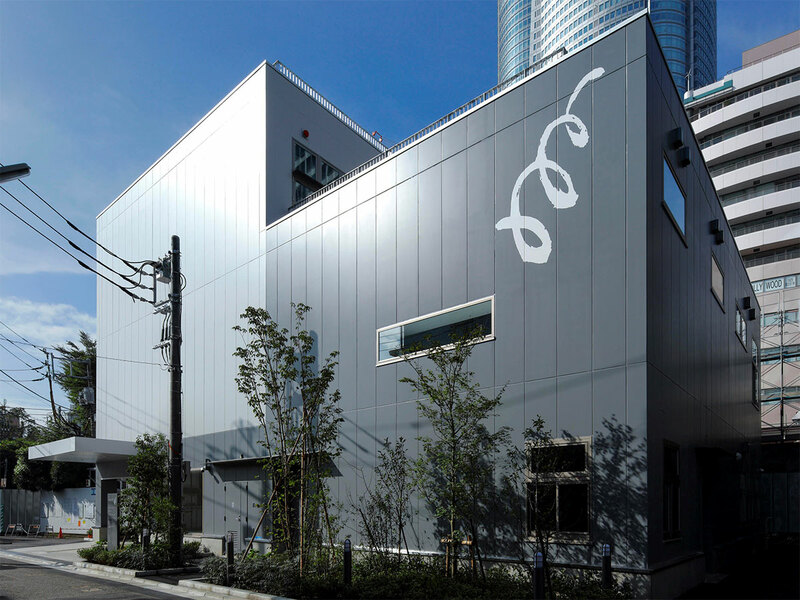 The three-story building is located in Roppongi with other contemporty art galleries: Tomio Koyama Gallery, ShugoArts, and Taka Ishii Gallery. They have some of the best selection of Japanese contemporary art and is worth a visit. 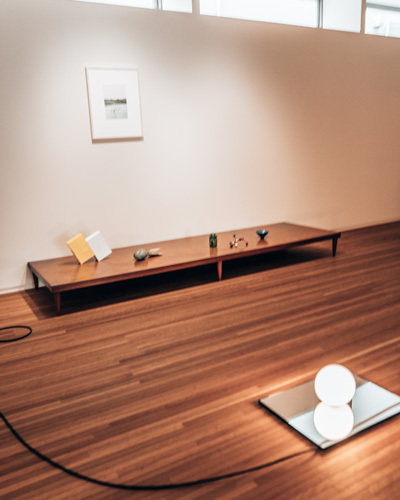 One of the current exhibitions now is Light of from Tomio Koyama Gallery, it captures lights sparkling in darkness at fireworks or outdoor music festivals. Anoter great exhibition to not miss by Taka Ishii Gallery is Moved, a group exhibition featuring 20 artists by bringing together latest works by a collection of Japanese and foreign artists with Japanese photographers and painters. Opened in 2003, the Mori Art Museum was one of the first major museums in Tokyo to focus primarily on contemporary art, in addition to its diverse exhibitions related to fashion, film and pop culture. Instead of a permanent collection, the museum features frequently changing temporary exhibitions. Visitors can enjoy a panoramic view of Tokyo from the 52nd floor, or head to the open-air observation deck on the 54th floor. 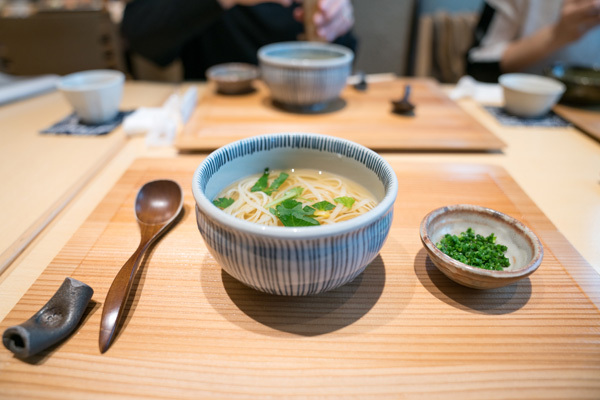 This casual restaurant Azabu Kyutoku, conveniently located inside the Roppongi Hills complex, serves inaniwa udon — thin, hand-stretched wheat noodles with a light silky texture. 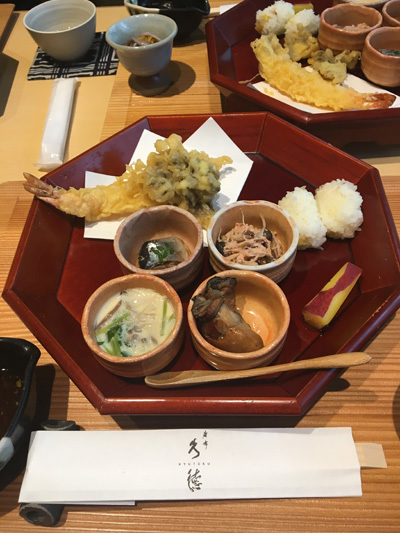 Seasonal specialties such as smoked oysters, sanma (saury) simmered in sweetened soy sauce and mixed mushrooms with mentaiko spiced fish roe round out a satisfying lunch. 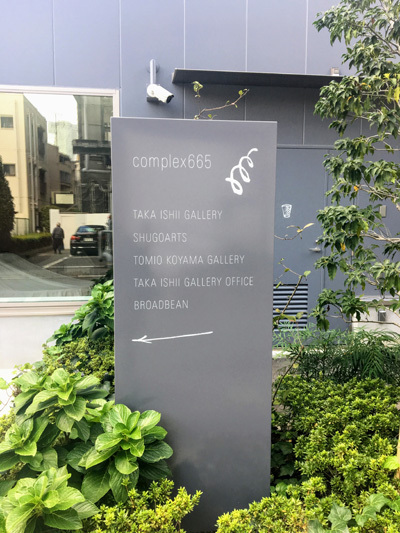 Along a side street near Roppongi Station, Complex 665 art center, which opened last year, is a three-storey building housing Shugo Arts, Tomio Koyama Gallery and Taka Ishii Gallery – three prominent galleries dedicated to contemporary art. The "Miraikan" National Museum of Emerging Science and Innovation conveys information about cutting-edge science and technology as new knowledge, through a wide array of methods and perspectives such as permanent and special exhibitions, talk sessions, experiment classes, online and paper publications, and films. 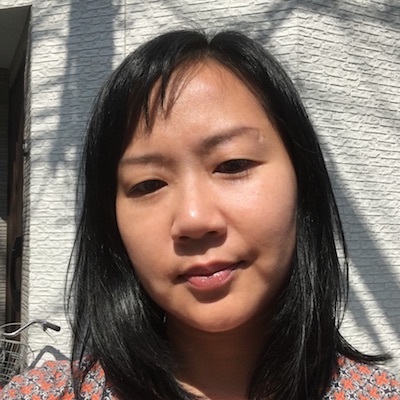 Methods of expression and communication are also being developed in order to explain highly-specialized and sophisticated fields in an easy-to-understand manner. 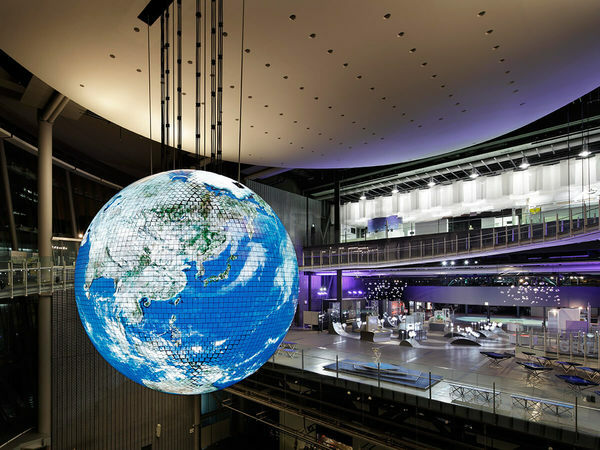 Miraikan – The National Museum of Emerging Science and Innovation in Odaiba is a very unique experience. You can learn about the evolution of life as we know today. Learn about natural disasters throughout history. 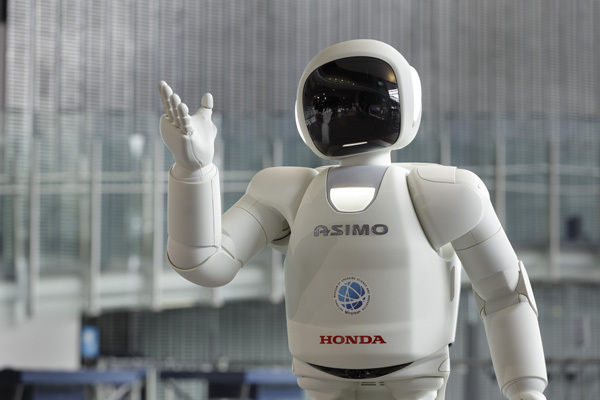 They also offer a demonstraion on ASIMO, a humanoid robot! On the first floor there's a UNI-CUB where I tried the personal mobility device. It's a new device—both a vehicle and a robot which allows users to sit on device and move around on your own based on your movement of weight. 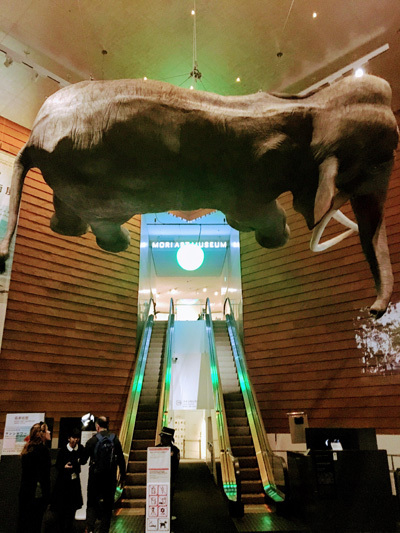 Miraikan - The National Museum of Emerging Science and Innovation is perfect for children, but it's a terrific place for curious adults as well. The interactive exhibits are nicely laid out to encourage self-exploration, but there are several helpful science guides who are happy to give more in-depth explanations. 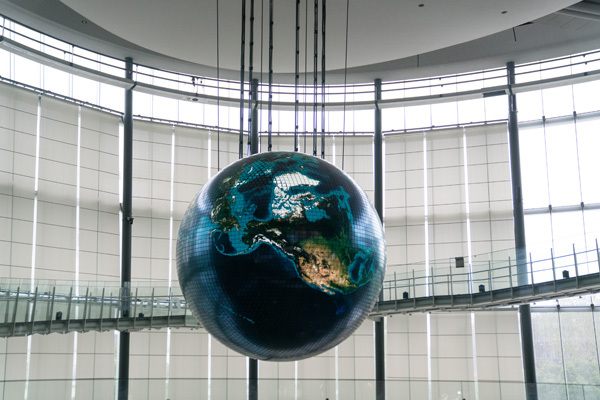 The Geo-Cosmos high-resolution globe, which displays the movement of the weather patterns in near real time, is a mesmerizing meditation on the future of the planet. 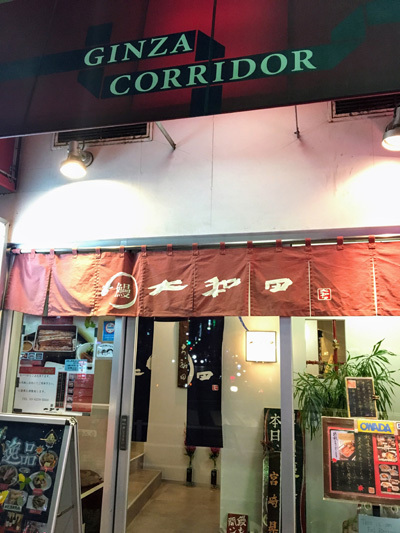 Corridor Gai is a street that runs along the rail tracks which link Yurakucho Station and Shimbashi Station. 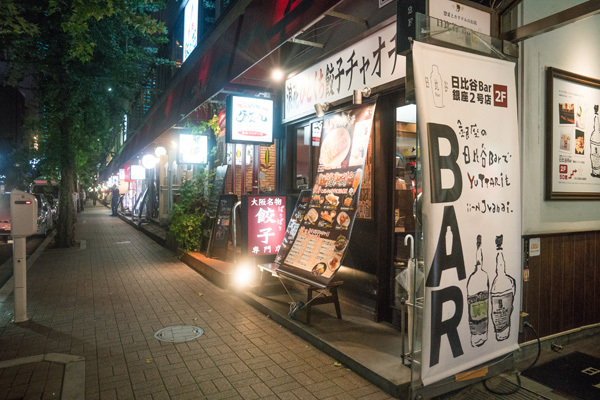 Many izakaya (Japanese bars) and restaurants are located here, and you can enjoy yourself at reasonable prices. Corridor Gai Street is one of the most popular streets for dining and drinking in the Ginza area. It's a very fun area to walk around and very lively on weekday evenings for people getting out of work nearby. I enjoyed the ambiance of the street, lots of lights, friendly people walking around and loved being able to step into small shops and try small pastries. After walking around and exploring the Corridor Gai Street. 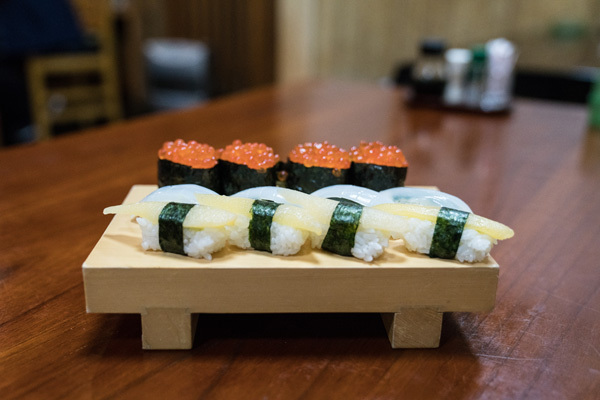 Hop into a traditional Japanese restaurant for dinner. Kokappo Ohashi Ginza is the perfect dinner spot, located on the second floor and in the center of Corridor Gai Street. The restaurant also offers private rooms and has an all you can drink menu. The restaurant has a quiet ambiance, which makes it great for a date night. 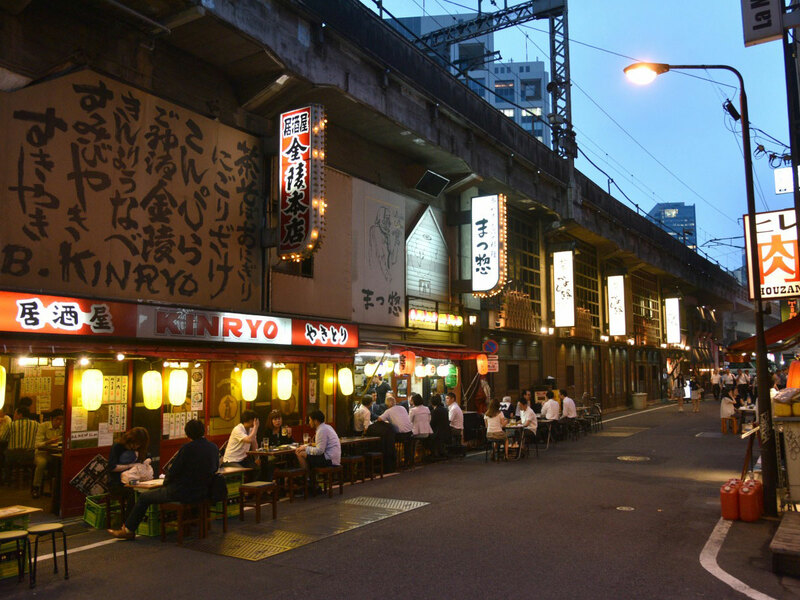 Corridor Gai is one of the famous lively dinner spots crammed with small restaurants and bars. Running beneath the train tracks between Shinbashi and Yurakucho stations, the street retains the colorful atmosphere of old Tokyo. 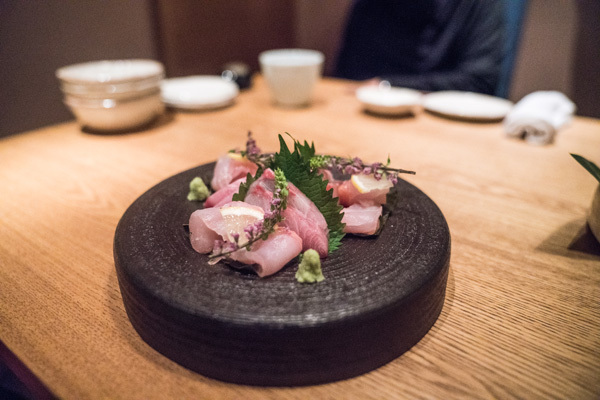 Ohashi Ginza serves informal kappo-ryori (the more casual cousin of kaiseki Japanese haute cuisine) in a sleek setting, with tables in private dining rooms. 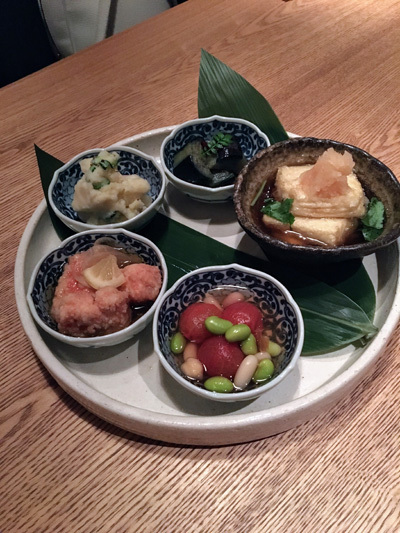 The multicourse meal is accompanied by a well-curated selection of sake and shochu distilled spirits. 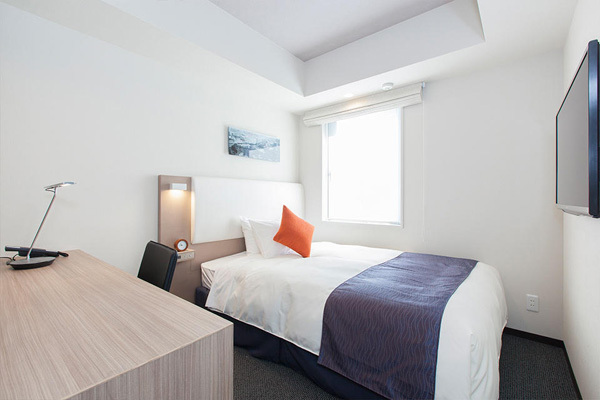 Tokyu Stay Shimbashi is conveniently located near the key city terminal, JR Shimbashi Station and the Onarimon Staton of the Toei Mita Line. The rooms are comfortable and very clean. The room has a small fridge, a good sized bath, a desk and great air conditioning. I had a great time staying at Tokyu Stay and would definitely stay here again. Tokyu Stay Shinbashi is centrally located in Shinbashi and a short distance by cab or train to Tokyo Station, where you can catch the bullet train. 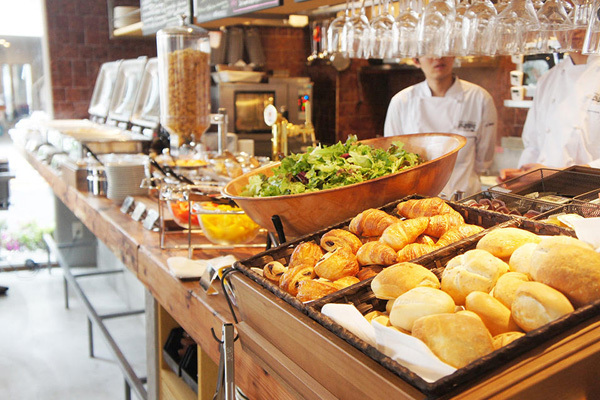 For breakfast, there’s a buffet with Japanese and Western options such as scrambled eggs or rice and miso soup. October 2012 saw completion of the preservation and renovation work on the Tokyo Station Marunouchi Building. 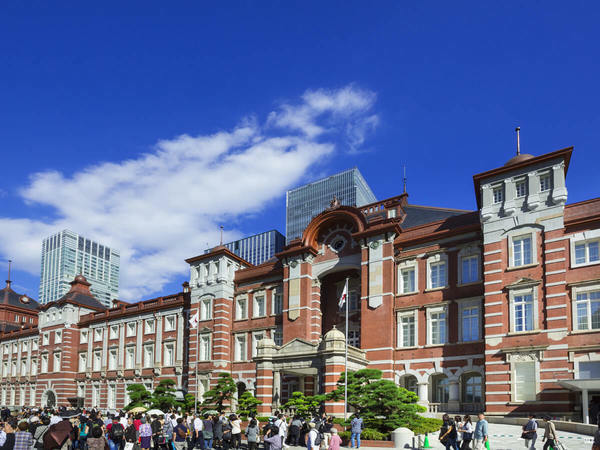 The red brick facade long loved as the symbol of Tokyo Station has made a comeback, along with the history and grandeur of the original building dating nearly a hundred years back. 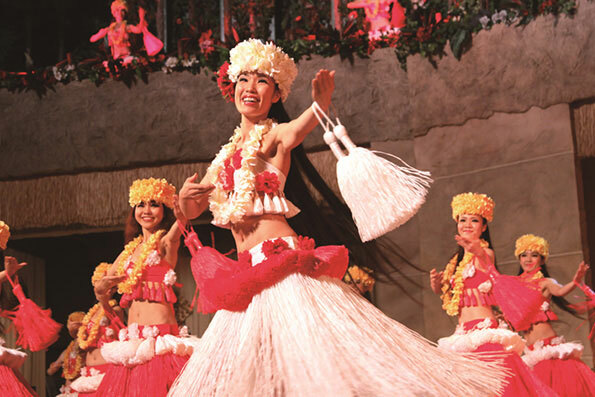 The occasion also saw the reopening of Tokyo Station Hotel and Tokyo Station Gallery. 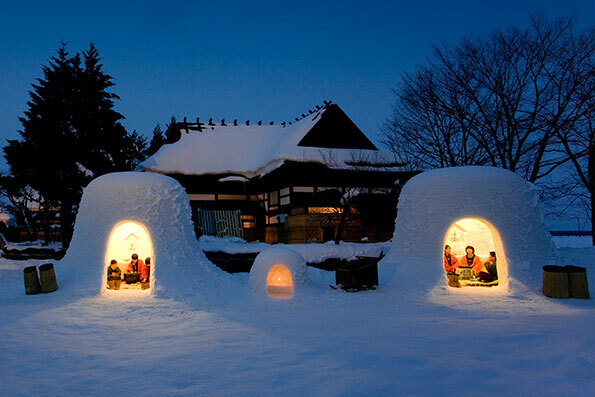 The former is the only hotel situated within an important cultural property of Japan. The interior is designed in a sophisticated, classical European style to blend with the splendor of the Marunouchi Building exterior. I enjoyed traveling on the Shinkansen very much! The trains have restrooms and plenty of space for luggage. The seats are very comfortable especially for long durations and relatively silent, always forward facing seats. The train typically arrives on time and known for it's punctuality. I've travelled to many places around the world and used hundreds of trains, none are as efficient and clean as the Shinkansen. You can’t beat the train service in Japan. The shinkansen is still my favorite way to travel. It’s always clean, comfortable, and amazingly punctual. 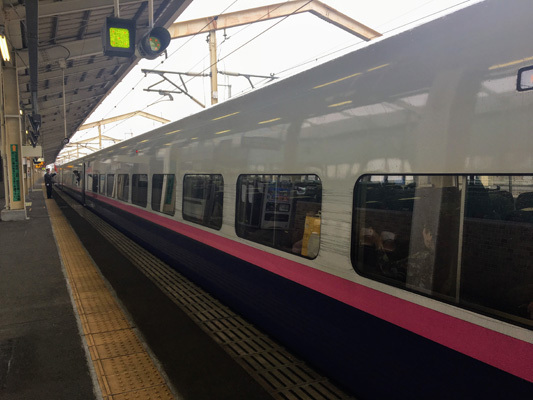 Koriyama Station is a terminal station where various railway lines converge, including the Tohoku Shinkansen, Tohoku Honsen, Banetsu Saisen, Banetsu Tosen, and Suigunsen. Inside the station building is an integrated commercial facility known as S-PAL, while outside the station is a facility, Big-i, where there is an observation lobby and a science museum called SPACEPARK. Tsuruga-jo Castle is the symbol of SAMURAI CITY Aizu. 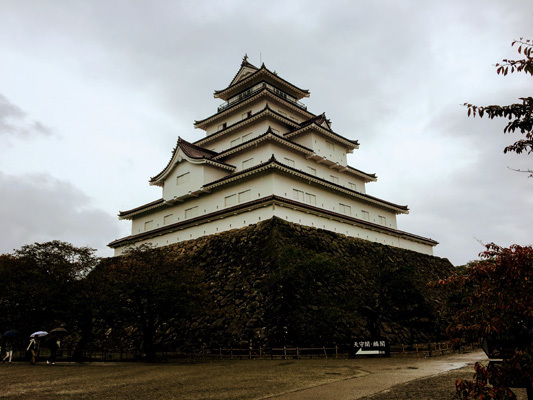 Renowned as an impregnable fortress, it lasted for one month against a fierce enemy siege during a civil war at the end of the Edo period (1868-1869). In 1874, at the end of the samurai era, it was torn down, leaving only the stone walls. In response to citizen's wishes, it was later rebuilt in 1965. In 2011, it underwent major refurbishment with its roof tiles replaced with red-colored tiles and was restored to its former glory. 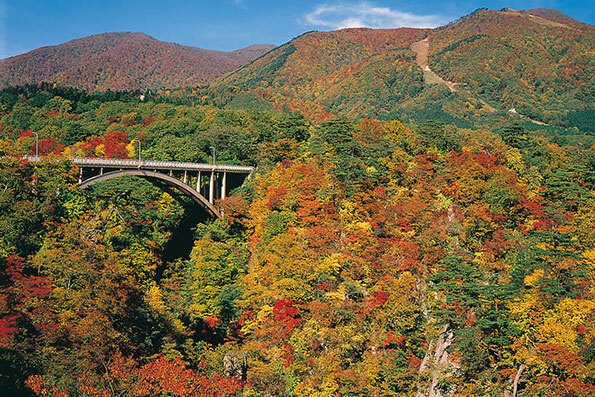 Now, as a scenic site for cherry blossoms in spring and foliage in autumn, it offers visitors a place of rest and is a center of Aizu tourism. I had the tempura soba, the tempura had the perfect crunch to it while the soba was the perfect texture. The soup saltyness was perfect.The staff also provided me with soup that was cooked with the soba, it's a form of not wasting food. If you're looking for something warm, I highly recommed it. 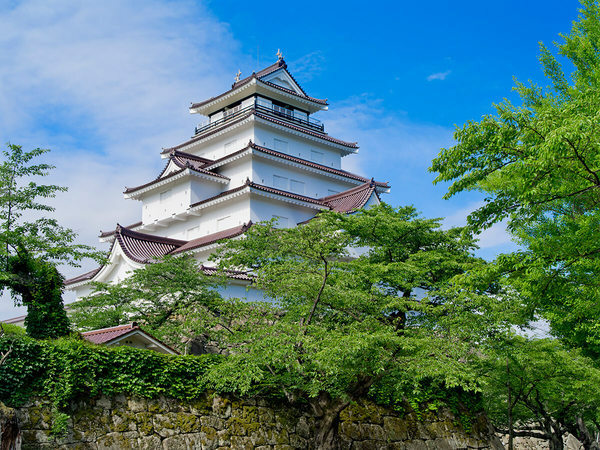 The Tsuruga-Jo Castle was built in 1384 making it over 600 years old. 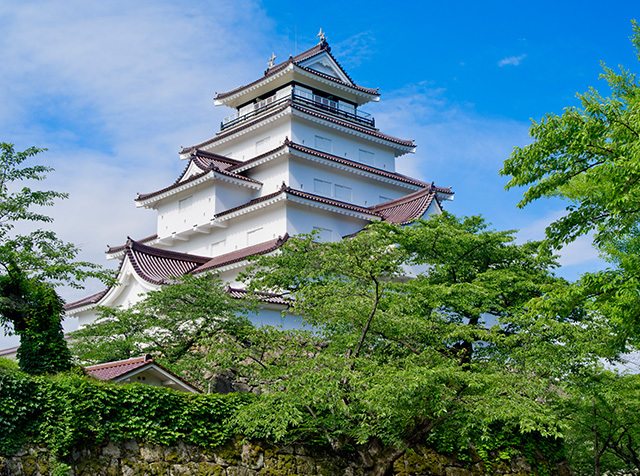 It was used for the military but now serves as a museum to learn about the samurai's. It also has a viewing dock at the very top of the castle which provides stunning views of Fukushima. Highly recommend making a visit to Tsuruga-Jo Castle as it was one of my highlights of the trip. 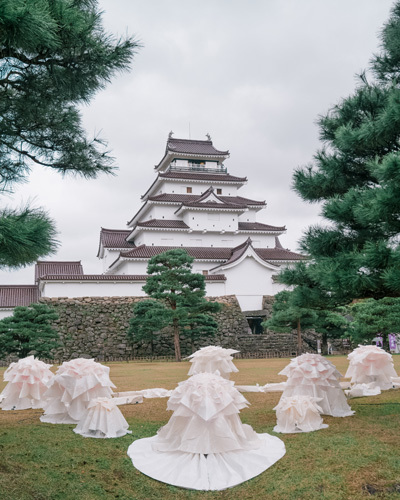 I enjoyed learning about the long history of the castle, the samurai's and being able to enjoy the views from the top of the castle was magnificient. The Byakkotai, Sazae-do is located not too far from Tsuruga-Jo Castle, it's a very unique architecture with a double-helix wooden tower from the 19th century. This is the spot where the Byakkotai group of teenage boys that took part in the Boshin War committed suicide in 1868. In this war, the former feudal government army headed by a shogun fought to protect the feudal rule against the new government army, which sought to create a new world. It is a unique Buddist temple with spiral ramps going up and down. It's a very powerful feeling to be able to learn about this history and stand at the very same spot were history was made. 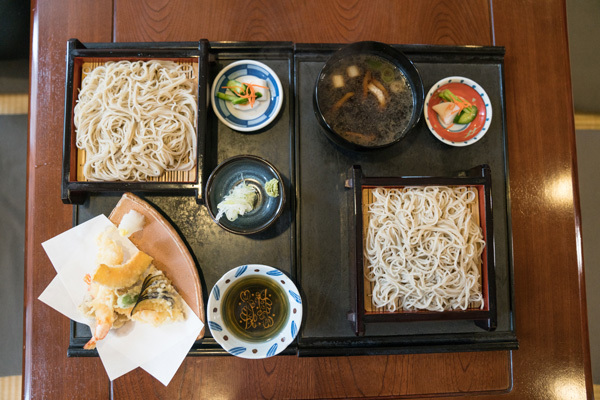 Located near Tsuruga castle, Kamishiroya is a quaint countryside restaurant specializing in soba buckwheat noodles. The kamo-seiro — cold noodles served with a dipping sauce of duck and onions in broth — hits the spot on a chilly autumn day. 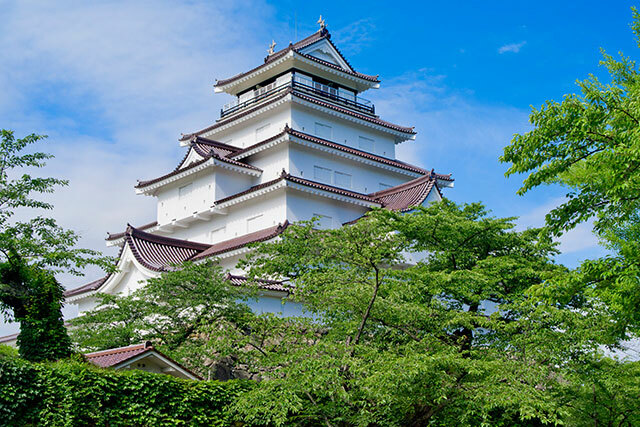 The original Tsuruga Castle was built in 1384, demolished in 1874, and reconstructed in 1965. The multi-tiered stronghold now contains a museum showing the history of the Aizu clan and the Tokugawa regime. The original walls and moats are still preserved on the well-manicured castle grounds, which must be even more beautiful in spring when the cherry trees are in bloom. 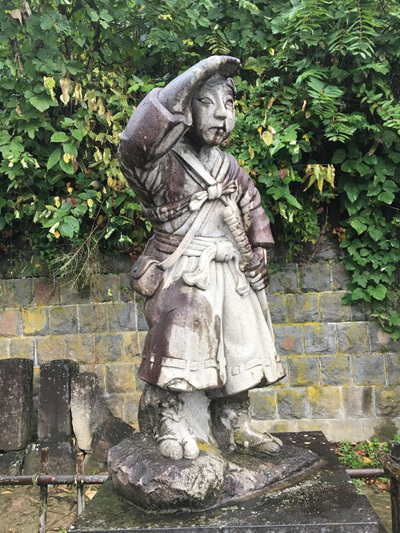 The sad history of the byakkotai — the troop of young men who fought to protect their hometown in the Boshin War of 1868, but saw the black smoke coming from near Tsuruga Castle and committed suicide out of loyalty, as they falsely perceived that the castle had fallen — is enshrined in the monument that marks the rows of graves and tombstones on Iimoriyama. The intricately carved Sazae-do Temple, which we visited on the descent to the main road, is an impressive wooden structure with a unique spiral staircase. There is a free pick-up service from the bus terminal point if you telephone. 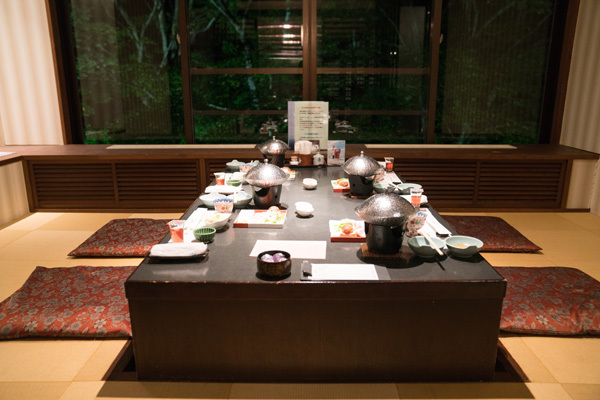 The ryokan offers a few prix fixe dishes for each person and moreover a great selection of buffet style dinner. They had some of the freshest vegetables and fish. My favorite of the night is having the hot pot where we were cooking our own meal and vegetables. 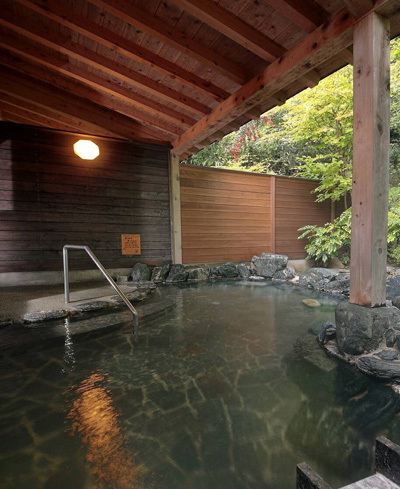 A beautiful ryokan with two public baths. One indoor and one outdoor. 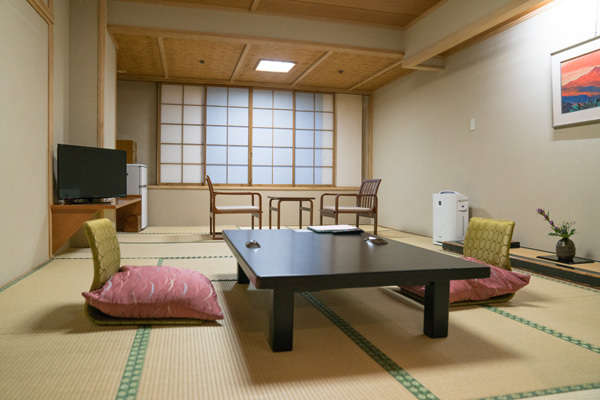 The ryokan is clean and has an amazing staff that is very helpful. The ryokan has serveral buildings on the property. Both buildings have beauiful rooms with views of the stream. The outdoor bath is quite nice as you can sit there hearing the water come down from the hill. I highly enjoyed my time in the public bath, it's one of the most relaxing experience I've had. I loved the romantic Japanese onsen-town scenery along the river from Higashiyama-onsen station to the Japanese inn Harataki Ryokan. We dined in our yukata cotton robes, and the meal consisted of seasonal sashimi, shabu-shabu of thinly sliced pork, tofu and yuba (tofu skin), along with a variety of dishes from the buffet table. I especially liked the kozuyu, a local specialty of dried scallops, vegetables and tiny gluten croutons in a flavorful clear soup — a nice match for local sake “Kokken”. In addition to the lovely public bath, Harataki also has several private baths, which can be rented for an additional charge (my open-air bath was beside a waterfall). The rooms were spacious and nicely appointed, with views that look out on the river. 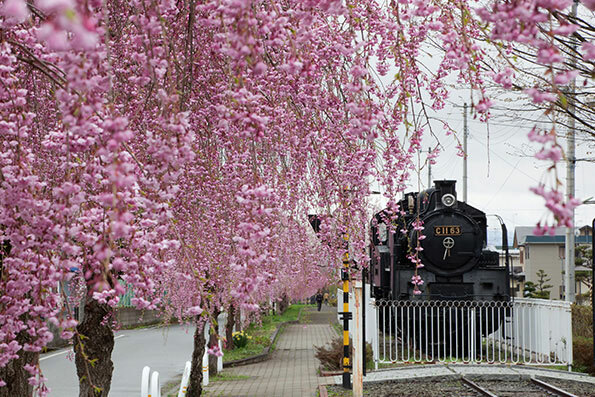 Ouchi-juku is a post station developed in about 1640 on the Aizu-Nishi Kaido trade route that ties together Aizuwakamatsu and Nikko-Imaichi. It prospered as an important freight and transportation hub when the lord of Tsuruga-jo Castle visited Edo (Tokyo). 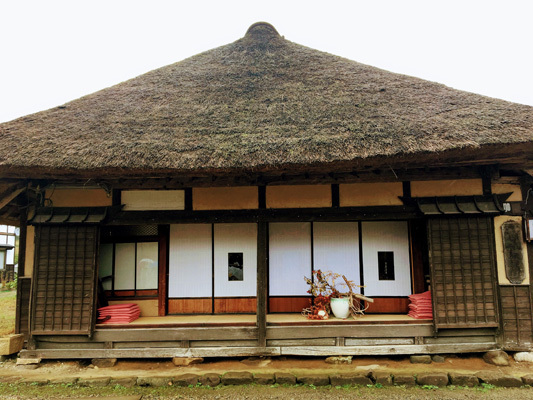 Today, groups of thatched houses that reflect the landscape of the Edo era remain, and the area has been designated as an Important Preservation District for Groups of Traditional Buildings. Visitors can enjoy specialty gourmet dishes such as negi soba (buckwheat noodles topped with spring onions) and iwana (trout) sandwiches. 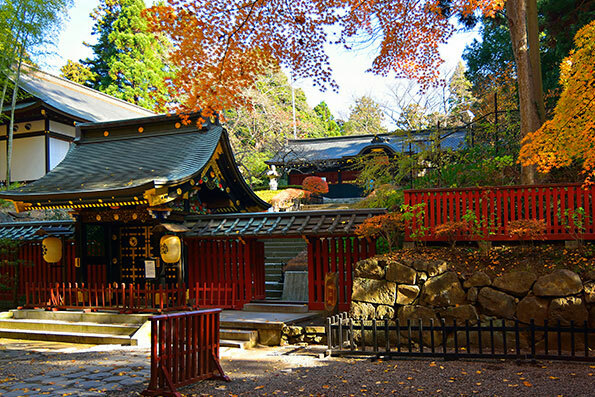 Ouchi-juku is an important post town whose buildings served as shops, inns and restaurants. 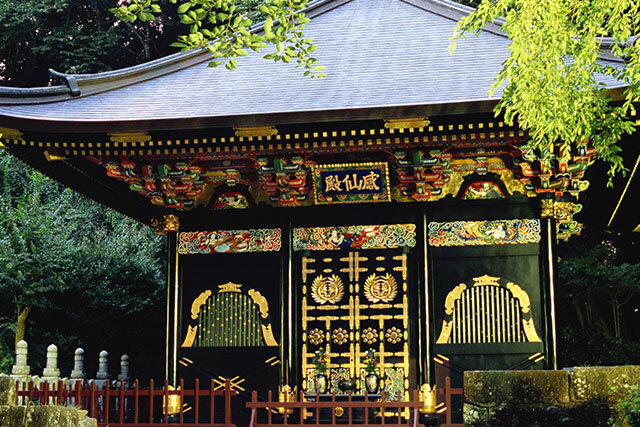 Many of the buildings have been preserved before the Meiji restoration and is now a major tourist attraction. 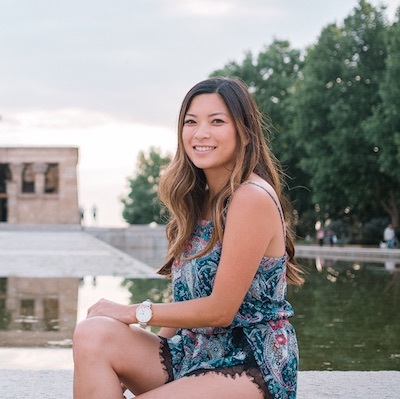 I love being able to connect with the locals and experience their culture, and this town allowed me to do so. During the winter months when it snows, it can be quite beauiful too. A great time to visit if you're in the area during the winter months. 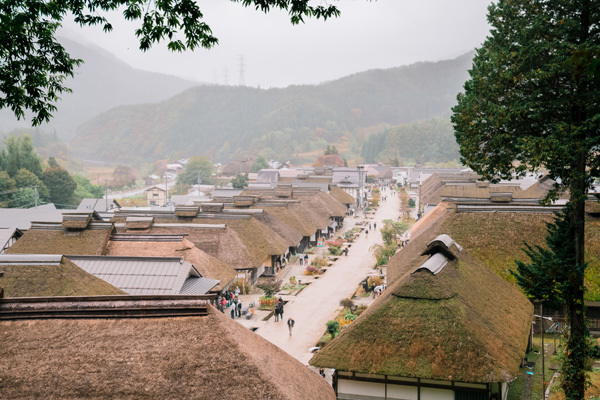 A little over an hour away from Aizu Wakamatsu, this little town retains its old-timey atmosphere thanks to the beautifully preserved thatch-roofed buildings. 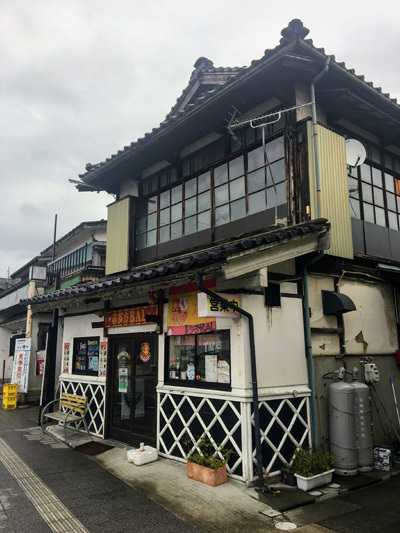 Kitakata City is famous for its ramen and sake. 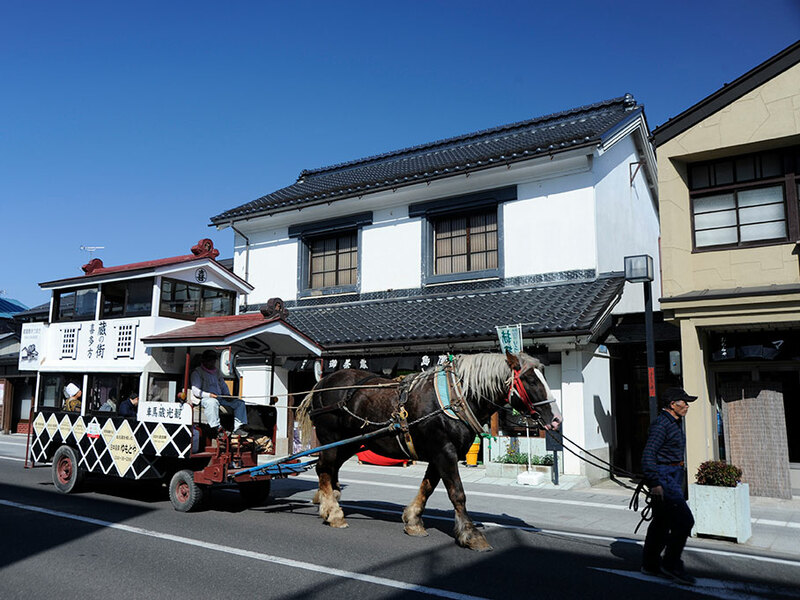 There are also more than 4,200 storehouses spread around the city; you can enjoy strolling around Kitakata, seeing the cityscape with its historic storehouses. We recommend going around the storehouses on a horse drawn sightseeing carriage. 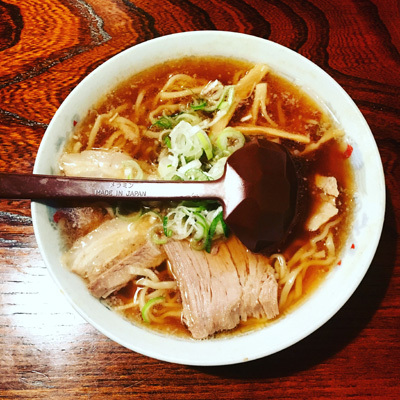 Kitakata ramen is one of the best in Fukushima! The ramen is quite simple, flattened noodles with a bit of curl in a shoyu broth typically with pork and niboshi based. There is always a line and they even sell out so make sure to go early! The Otazuki Kura Street was quite nice, theres lots of restaurants and even a ramen shrine in front of one. When visiting the Ohara Shuzo Brewery is interesting to learn about how sake is made. Some of the best sake is made by playing music from Mozart! The sake tasting was fun and I was able to try multiple sakes made from the brewery. 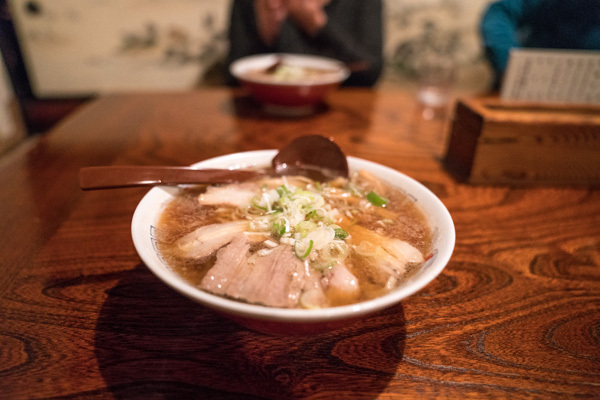 The tiny town of Kitakata is known for ramen. On weekends, the wait for Abe Shokudo’s classic soy ramen is sometimes up to two hours long, and I can understand why: the texture of the noodles, which are slightly fatter than usual and pleasingly chewy, complements the umami-rich broth perfectly. 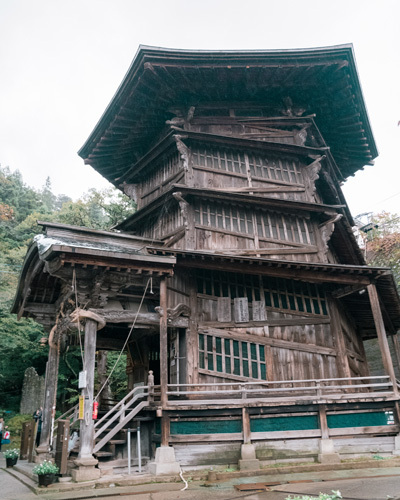 One of the unique features of Kitakata is the number of traditional kura storehouses that remain scattered around the town. 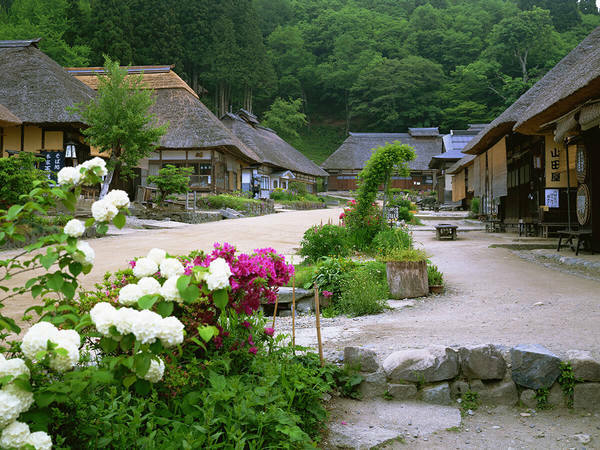 The town is also home to Ohara Shuzo, a brewery that has been making sake since 1717. Housed in a wonderfully maintained Edo-era building, Ohara Shuzo produces a range of luscious, fruity brews that president Kosuke Ohara believes derive their elegant character from the Mozart symphonies that are played in the brewing room every day during fermentation. The town is very cute with lots of great shops, restaurants and bars to choose from. We stopped by a sushi restaurant and had omakase with many different types of sushi. Each piece of fish melts in my mouth and left me wanting more every time. 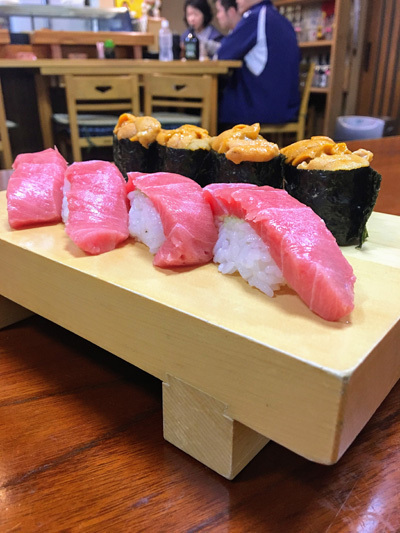 Thanks to its proximity to the ocean, the city of Iwaki Yumoto is blessed with a bounty of fresh seafood. At a low-key local sushi shop near Ryokan Koito, we were treated to some of the most generous portions of sushi that I can recall in recent memory, along with a few extra dishes — savory steamed egg custard, fried mackerel marinated in vinegar — given to us on the house by the restaurant’s garrulous chef and owner. When I arrived at the ryokan, the owner greeted us right away. It's always great to have good hospitality when staying at an accomodation. 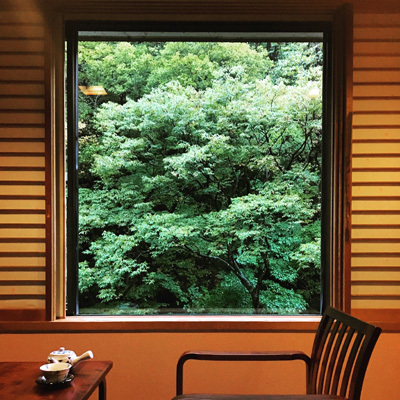 The ryokan was very clean, comfortable and has great scenery views in the room. The onsen is very nice, the temperature was perfect and it was a very relaxing experience. 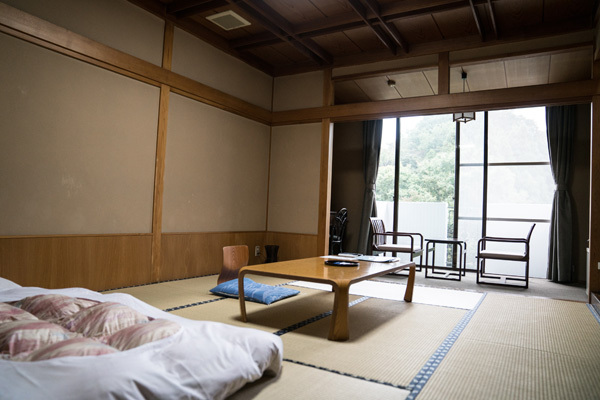 A short drive from Iwaki Yumoto Station, the humble Ryokan Koito offers clean and comfortable stays and two baths (indoor and outdoor) filled with milky sulfur-rich water that is almost slippery to the touch. 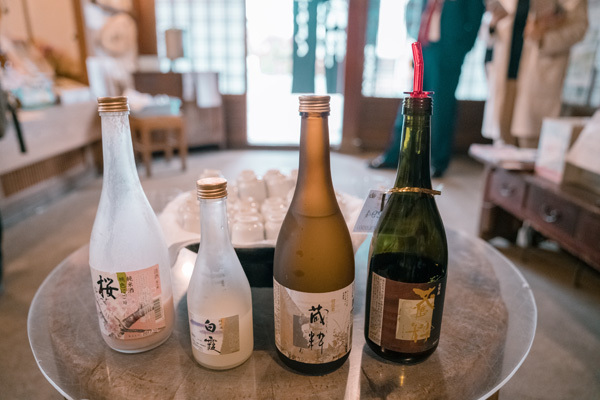 The water is said to ease body aches and beautify the skin, and after a dip you can stop by the lounge on the first floor for a glass of local sake from superstar producers such as Jikon and Hiroki. During the 2011 tsunami, many fishes died and the aquarium had to be rebuilt. It's now completed with many interesting fossils and fishes to see and learn about. 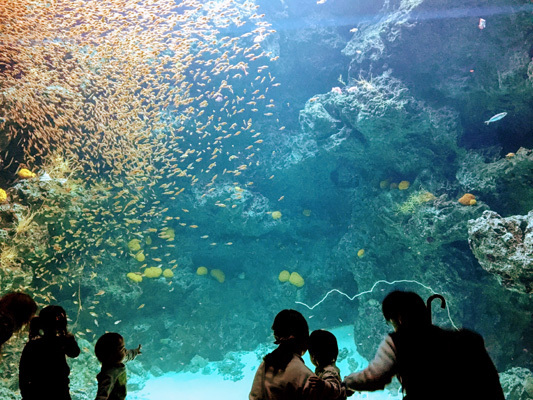 The aquarium highlights the sea life in the Shiome Sea, customers can learn about the evolution of life in the sea, seas of the coral reefs and so much more. One of the exhibits, From the Fishing Ground toward the Dining Table allows visitors to learn about aquatic animals and increase our awareness of environmental issues. Going through the exhibits of Along the Shoes of Fukushima is interesting to learn how live in the rivers to the seashore in Fukushima. It was great walking around the fish market, you can pick out your own fish and cook it yourself for lunch! We decided to try oysters there, it was some of the best oysters and biggest I've ever tried. I learned that the tsunami hit this area hard and it's amazing to see how they have recovered. I'm happy to have been able to explore this area and eat some of the freshest seafood in the area. 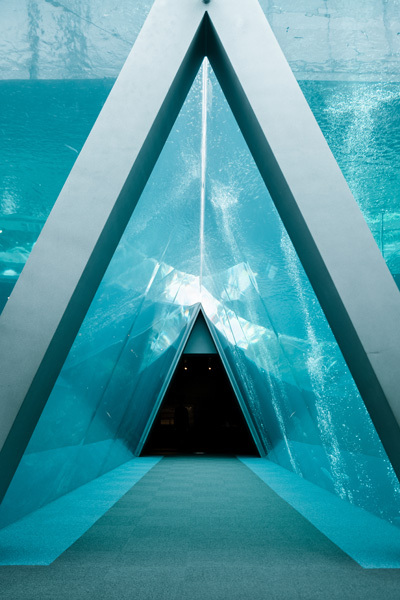 The Aquamarine Fukushima Aquarium, which sustained considerable damage in the earthquake and tsunami disaster of March 2011, was refurbished and reopened later that year. The gleaming glass-and-stone facility overlooks the Pacific Ocean and highlights marine life in the Shiome Sea. All manners of finned fish, cephalopds, crustaceans and sea mammals (the roar of the sea lions can be heard as you approach the building) can be found, but the main attraction is the 2,050-cubic-meter tank filled with torpedo-shaped bonito and other species of silver-skinned fish. 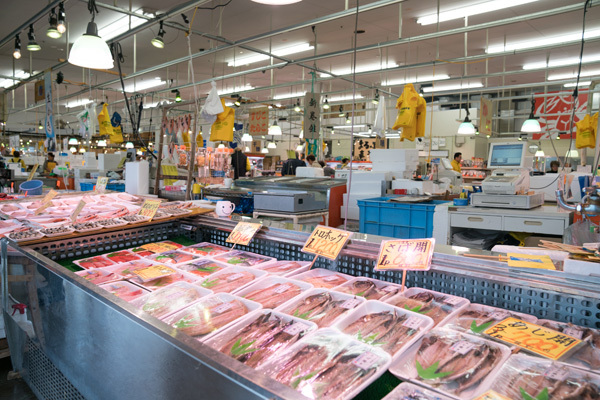 The open-air seafood market is the centerpiece of the Iwaki Lalamew shopping center. Enthusiastic fishmongers call out to visitors as they stroll the stalls. 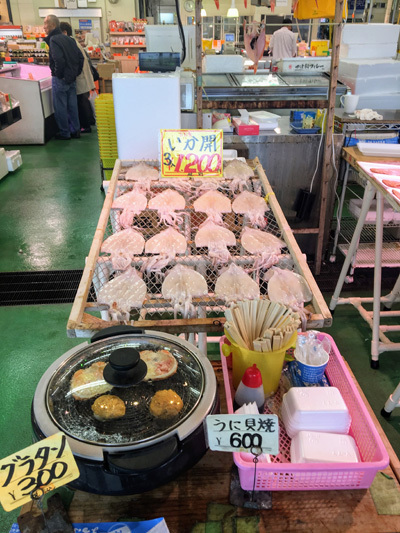 Fresh fish are sold both sold whole and cut – along with semi-dried squid laid out flat on wire trays, plastic tubs brimming with jewel-like fish roe and abalone shells filled with bright orange sea urchin, which is steamed and then grilled. We purchased fat oysters on the half-shell from a particularly persuasive fishmonger who shucked the mollusks for us on the spot. 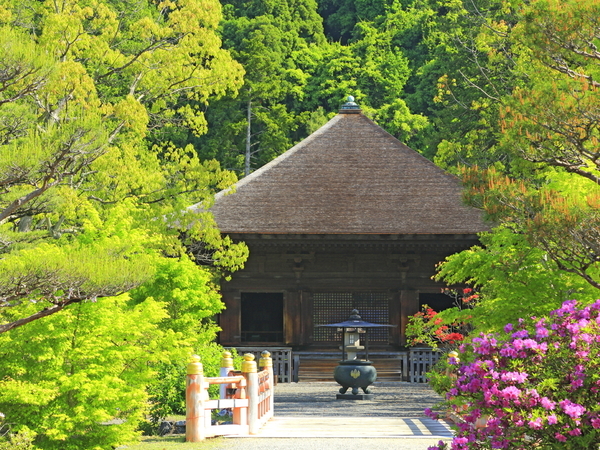 Shiramizu Amida-do was constructed in 1160 by Princess Tokuhime, daughter of the first Ōshū Fujiwara lord, Kiyohira, and it is an Amida-do Hall of the late Heian Period. 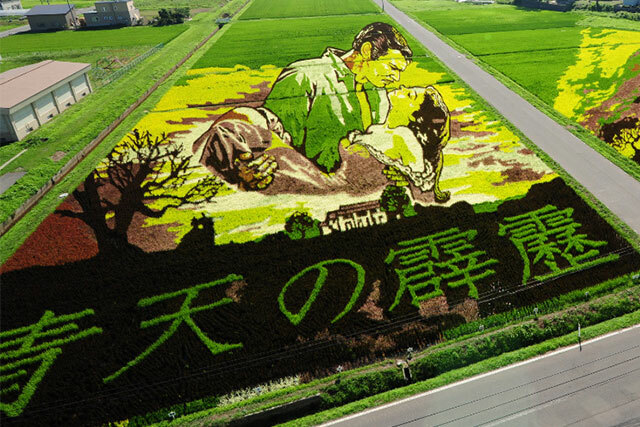 It is also the only building to be designated as a national treasure in Fukushima Prefecture. 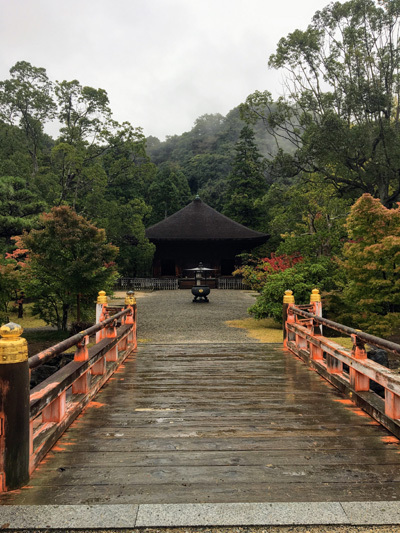 Shiramizu Amida-do Temple a simple wooden temple surrounded by beautiful gardens and ponds built in 1160. It's designated a national treasure in 1952 and currently considered a historic site. It's a great place to explore, walk around the garden and enjoy some peace and quiet. 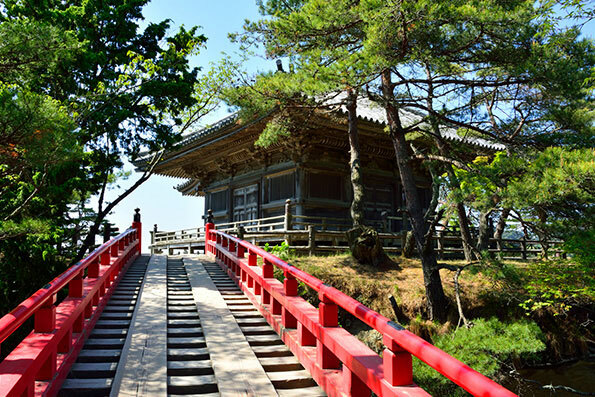 Constructed in 1160, Shiramizu Amidado Temple is the pride of Fukushima — the only structure in the prefecture to be designated a national treasure. 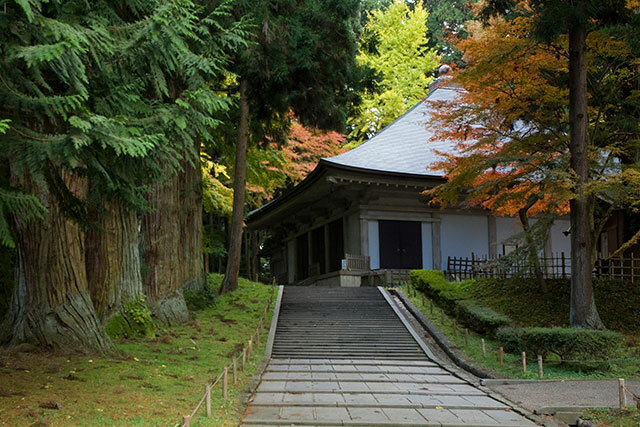 The stately wooden hall, with its massive sweeping roof and carved eaves, stands at the end of a gravel-line path, in the center of a placid Japanese garden. Stepping inside, we encountered monks meditating before statues of Buddhist deities such as Kannon. The word ekiben is a combination of the Japanese words eki (station) and bento (lunchbox). 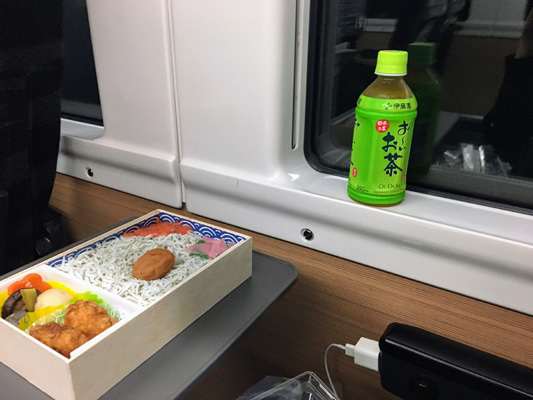 The expression is used to refer to the boxed meals sold at major train stations or on the shinkansen bullet train. Each region’s ekiben are made with local specialties, so it’s fun to sample different boxes from around the country. My week in Japan visiting Tokyo and Fukushima has been an amazing experience. I loved visiting new places in Tokyo such as the Mori Art Museum and eating at local restaurants. Fukushima was the highlight of the trip! I really enjoyed learning about the history of Fukushima, exploring hundred year old temples and castles while learning about the samurai's. It's also quite impressive how the city has rebuilt itself after the Tsunami. My favorite experience of all is getting to interact and meeting with the locals and learning about their culture and life. There is so much more to see in Fukushima and I cannot wait to return soon. After three days in Fukushima, I felt that I barely scratched the surface. There’s still so much to explore. Though all of the sites were interesting, what stands out is the warmth and hospitality of the people there. 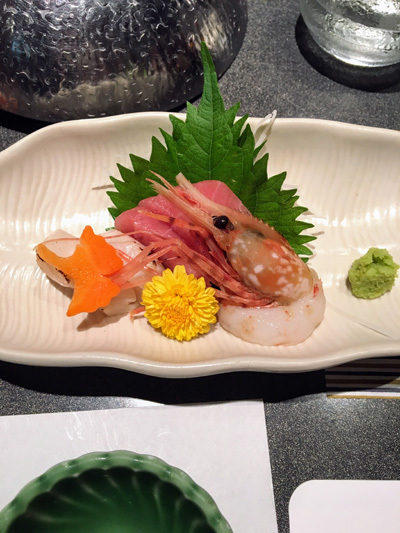 Tokyo if known for it's fascinating skyscrapers, food, art and entertainment. 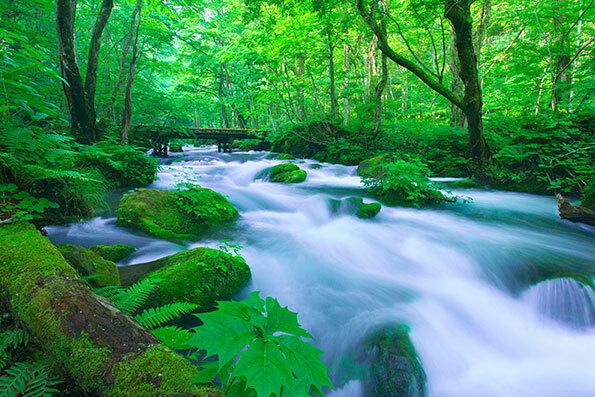 Tokyo is located in central part of the Kanto plain and easy to reach many other areas in Japan such as Fukushima. 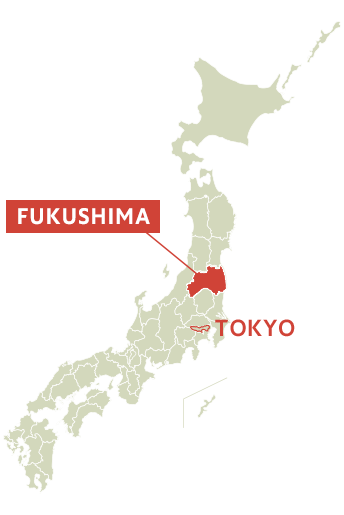 Fukushima Prefecture is a prefecture of Japan located in the Tōhoku region. 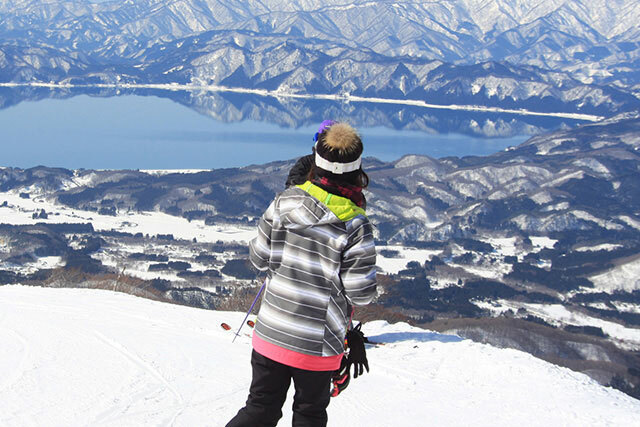 It is around two hours from Tokyo by train, making it a an easy commute for travelers looking to get out of the city. 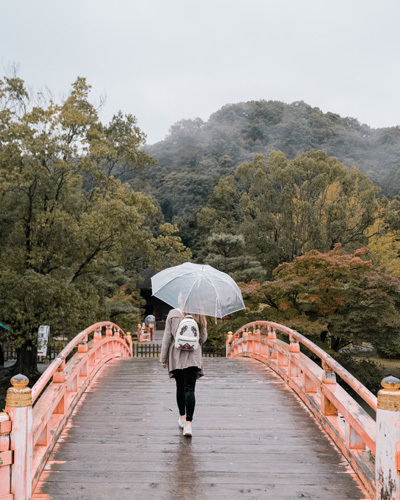 Fukushima is a great place to explore the town, mountains and countryside and has a lot of culture, history and many historic sites for travelers to learn and be immersed in it's long history. 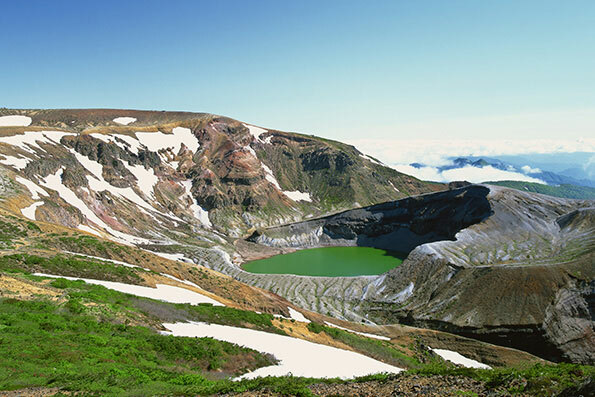 The vast and beguiling landscape of Fukushima encompasses mountains, rivers, and miles of variegated coastline. 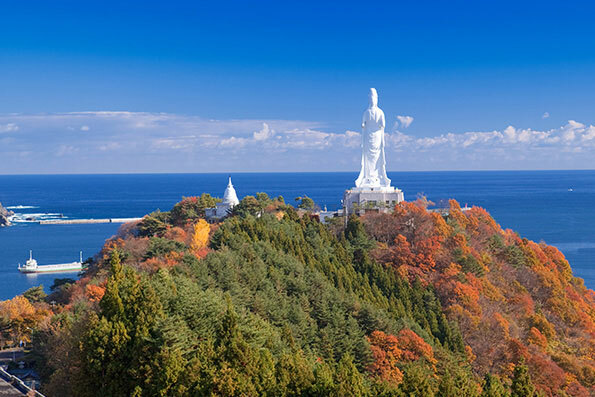 Steeped in history and brimming with delicious local food and Japanese sake, the region is dotted with undiscovered gems. 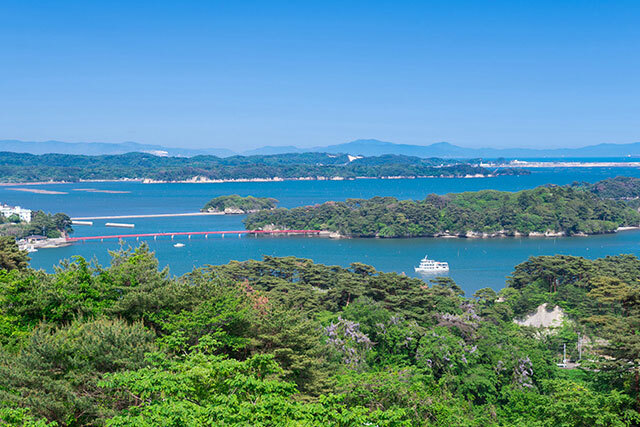 Those interested in Japan’s samurai past will be intrigued by Tsuruga Castle and the Byakkotai memorial site, and children will be delighted by Aquamarine Fukushima Aquarium. 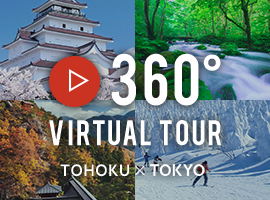 Our journey begins in Tokyo, the world’s most iconic megalopolis and the gateway to Japan. Amid the towering skyscrapers you’ll find a post-modern mash-up of the traditional and contemporary. There’s never a dull moment. 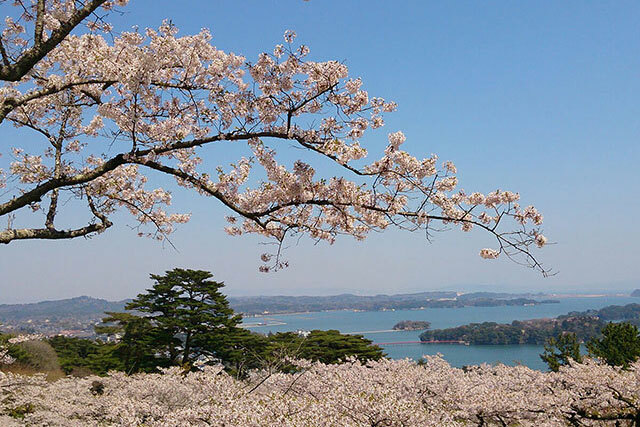 On this website, you can read travel reports and discover fascinating travel routes that allow you to take in both the iconic sights of Tokyo and the beautiful natural scenery and historical sites of the Tohoku region.